N. Joseph (Joe) Paithouski will be deeply missed by his friends and family. You may pay tribute to Joe’s life and legacy by making a gift in his memory to either of the funds listed below, established by his family. Established in memory of Effie Barbara Paul (Paithouski), B.A. 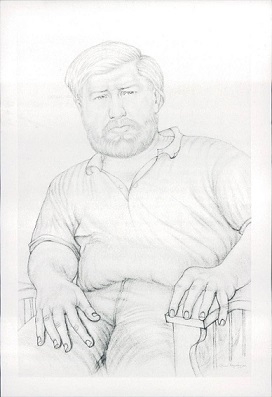 '74 (Carleton) by her son, N. Joseph Paithouski, B.A. '79 (Film and Economics), B.Sc. (Eng.) '80, and awarded to a student 25 years of age or older. The student(s) should be nearing the completion of their academic work and combining family and/or employment and/or other responsibilities with academic studies. Preference will be given to a woman. The purpose of this award is to help the student complete their studies. This is a monetary award. Application should be made in writing to the Director and Board of the Ban Righ Foundation for Continuing University Education. Established in memory of Nicholas J. Paithouski (B.Sc. '40) by his son, N. Joseph Paithouski, B.A. '79 (Film and Economics), B.Sc. (Eng.) '80 and friends and awarded to the graduating engineering student who has demonstrated the most consistent improvement in academic performance. The cumulative annual point spread in sessional average over the most recent eight terms will be used as a basis for determining the winner. Please be sure to fill out the commemorative portion of the giving form entitled "Dedicate my gift to N. Joseph Paithouski". This will allow Queen's to notify his sister, Janet Baker, of your thoughtful donation made in his memory.